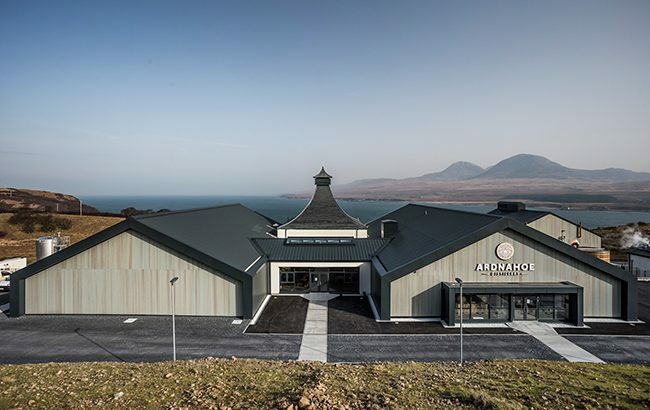 Hunter Laing & Co has officially opened its new £12 million (US$15.7m) Ardnahoe Distillery on Islay – the island’s ninth Scotch whisky producer and the first new site since 2005. Set to create up to 30 new jobs on Islay, the distillery hopes to attract 20,000 visitors each year. It was officially opened by Lord George Robertson of Port Ellen. The brainchild of Hunter Laing & Co owners Stewart Laing and his two sons, Andrew and Scott Laing, Ardnahoe is located on the northeast coast of Islay between Caol Ila and Bunnahabhain. The “state-of-the-art” distillery features wooden washbacks, Scottish-made lamp glass stills and worm tub condensers. Ardnahoe will create a “classic peated spirit” that will be matured in ex-Bourbon barrels and ex-Sherry casks. Ardnahoe has already received interest from whisky enthusiasts and collectors for 400 pre-order casks. Stewart Laing, managing director, said: “Since working as a teenager at Bruichladdich Distillery over 50 years ago, I have had a huge affinity with Islay and its malt whiskies. Jim McEwan has been appointed master distiller of the new site. He previously worked as master distiller for fellow Islay producer Bruichladdich, and announced his intention to come out of retirement to take up the new post with Ardnahoe in 2017. 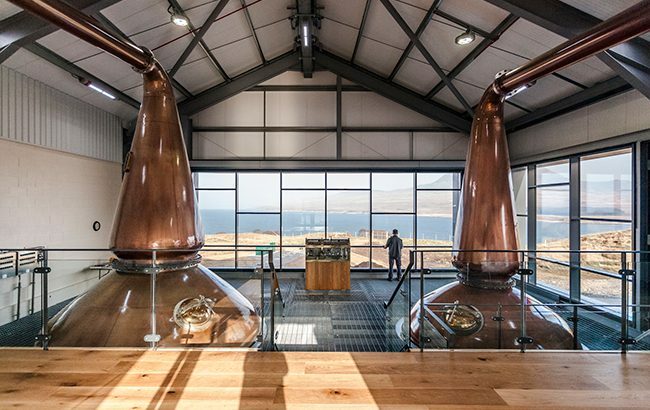 As well as onsite warehousing, Ardnahoe also boasts a visitor centre complete with a retail store, whisky bar, restaurant and tour facilities built on one level to cater for guests of all abilities. Scott Laing, business development director, said: “Ardnahoe is one of a series of new developments that will continue to strengthen Hunter Laing over the coming years. “We have a strong development team working on new international brands and we are targeting several important new markets that will fuel our continued growth. Hunter Laing & Co is not the only company that set its sights on Islay. Elixir Distillers, co-founded by Sukhinder Singh, is currently in the process of gaining planning permission to build a distillery on Islay and formally submitted a planning application in January this year. Diageo is also in the process of reawakening silent Islay distillery Port Ellen as part of a £35m (US$46m) investment plan that includes reviving Brora.